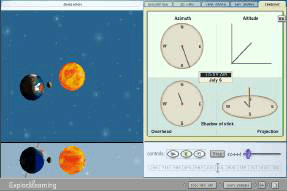 Bundle 5 How can objects interact at a distance? 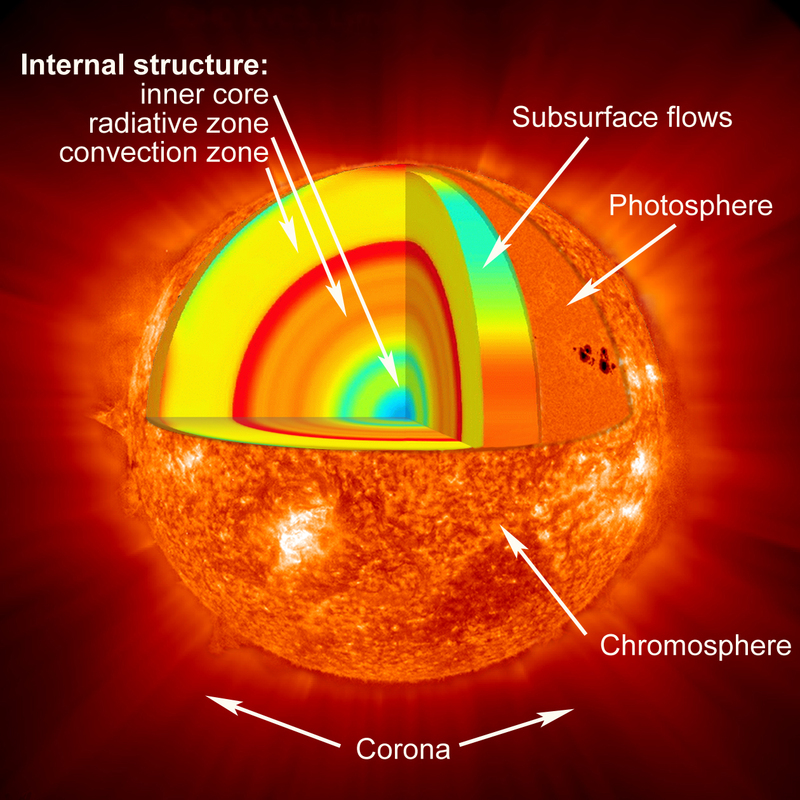 Additionally, these ideas about forces that act at a distance can be connected to the concept that gravitational forces are always attractive; there is a gravitational force between any two masses, but it is very small except when one or both of the objects have large mass—e.g., Earth and the sun (PS2.B as in MS-PS2-4). 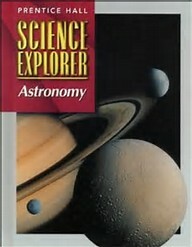 Then, gravitational forces connect to the concepts that the solar system consists of the sun and a collection of objects, including planets, their moons, and asteroids that are held in orbit around the sun by its gravitational pull on them (ESS1.B as in MS-ESS1-3 and MS-ESS1-2) and this model of the solar system can explain eclipses of the sun and the moon. 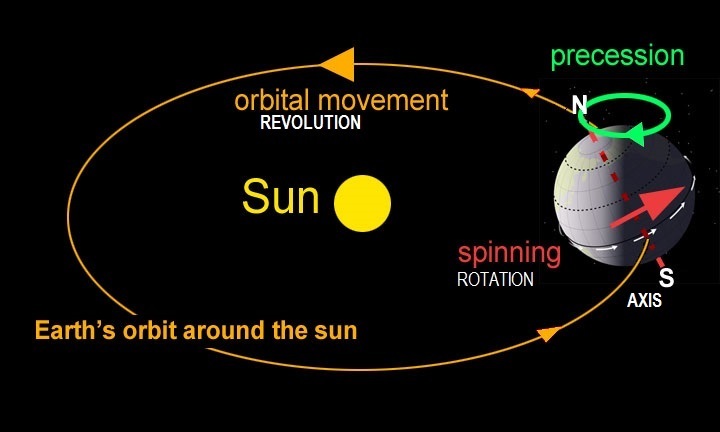 Earth’s spin axis is fixed in direction over the short-term but tilted relative to its orbit around the sun. 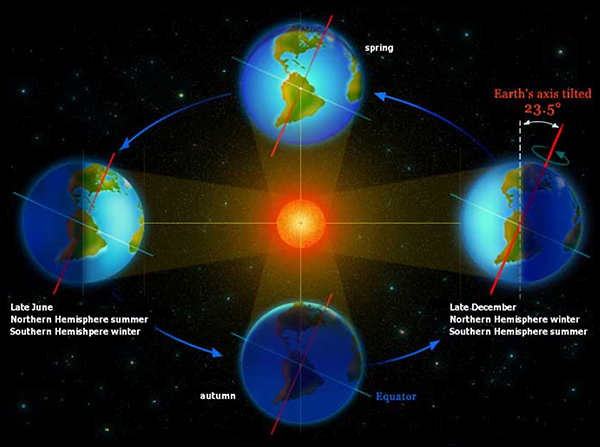 The seasons are a result of that tilt and are caused by the differential intensity of sunlight on different areas of Earth across the year (ESS1.B as in MS-ESS1-1). 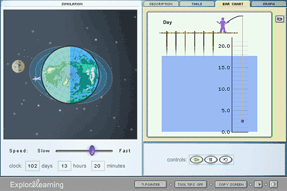 Create a diagram that shows the rock cycle and label its parts. 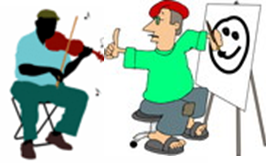 Show how __________________are used by humans. 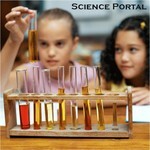 Create a diagram that compares or contrasts different parts of the rock cycle. 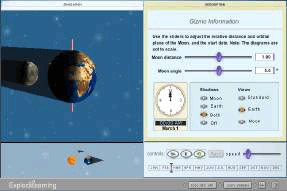 Astronomy is the studyof the moon, stars, and other objects in space. The shortest daylight is the winter solstice. the axis is tilted so that the North points away from the sun at winter solstice and towards the sun at summer solstice. Eclipse: When one object blocks the sun's light and creates a shadow on another object. 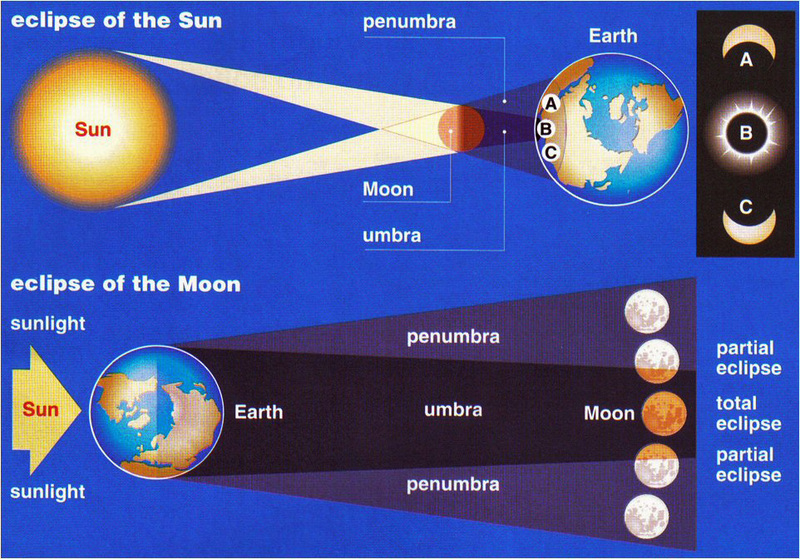 Penumbra: the lighter, larger part of the shadow caused beacause of the angles of light from different sides of the sun. 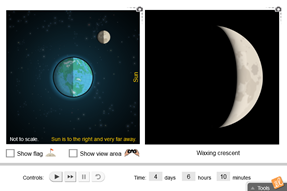 Solar Eclipse is when the moon creates a shadow on Earth. Lunar Eclipse is when a full moon passes into Earth's shadow. 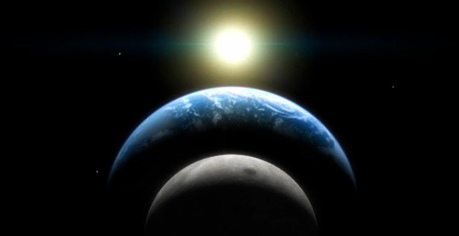 Tides: Earth's oceans rise and fall as the moon's gravity pulls water around the globe. High tides happen every 12 hours close and opposite of the moon. Low tides happen 6 hours after high tide. 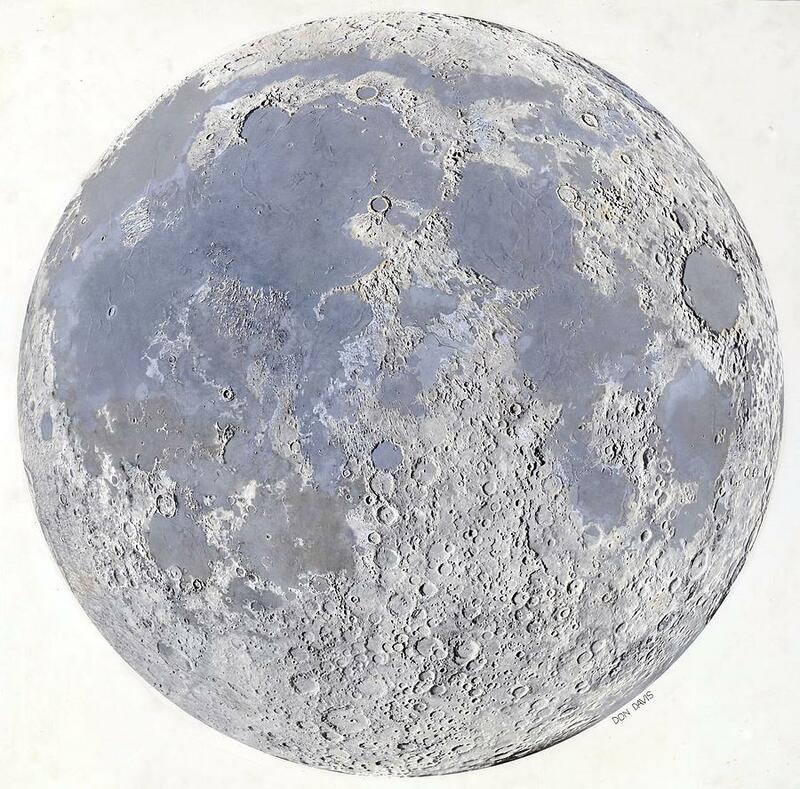 Earth's Moon: was likely formed from the debris thrown out when another planet collided with Earth long ago. It is about 3,476 kilometers in diameter, has low gravity, no breathable atmosphere, and is covered in craters from being hit by asteroids, meteoroids, and other objects. 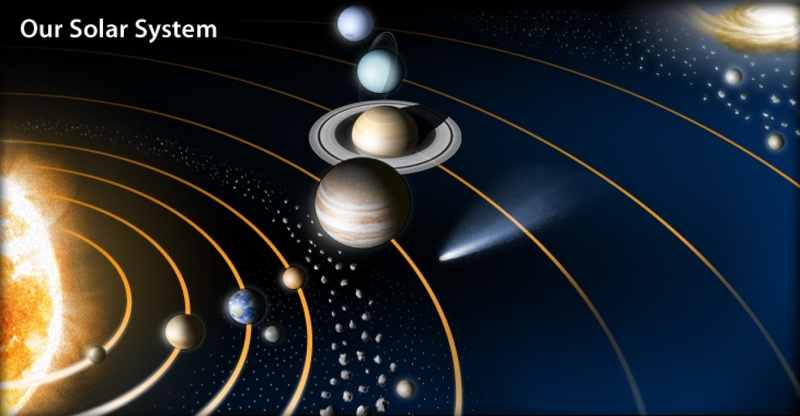 Sun: is the heart of the solar system and is 99.8% of its mass. Its burning atmosphere is in the millions of degrees Celsius.